Review: Having recently notched up 100 releases, Tectonic begins a new era by offering up a suitably weighty collaborative release from Peng Sound regular Ishan Sound. 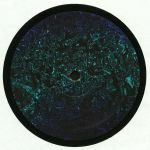 On side A, the Young Echo member joins forces with Hodge - owner of the nicest hair in techno - for the deep and dreamy dubstep shuffle of "C5", where fluid riffs dance above a blazed but powerful beat. Muttley lends a hand on flipside cut "Still Smoking", an altogether livelier and more aggressive - if still suitably deep and hazy - 140 BPM workout that comes complete with stabbing, grime style riffs and some serious subsonic bass.